A new apartment in an old building completly restored. Air Conditioning. You dispose of six single beds that you can turn into three double beds of 1.60m x 2.00m. You are in the center of Lisbon, within a couple of paces from two of the most spectacular view-points of the town: Nossa Senhora do Monte (80 m) and Miradouro da Graça (300 m). The street breathes the calm of a small village, and though, all kind of shops, restaurants and transports are a few steps forward. The famous tramway nº28 which drives you to the main centres of interests crosses the street. From that hill, the highest of the capital, you can get to the lanes of Alfama, the castle São Jorge. A lot of restaurants are waiting for you, and they propose typical plates such as sea-food and grilled fish. You can eat eat in the neighbourhood for six euros per person, we have good restaurants to commend you. Welcome to Lisbon! Supplement 10,00 € / night. The availability of the garage must be confirmed. We had a wonderful stay in Lisbon. We were greeted at the property and shown the amenities. We were given a recommendation for a driver, from the airport and a transfer. It was a very good choice. I highly recommend this place. It is wonderful. Owner (Joao) made it easy from arrival, through personal check in, and departure. Unit was clean, up to date, and comfortable. The location was ideal for sightseeing and enjoying historic Lisbon. Great view of Castelo de Sao Jorge from windows of all three bedrooms. Restaurants and markets were less than a block away. We thoroughly enjoyed our stay. We spent four days here on a family vacation and enjoyed every minute. The apartment is exactly as advertised. The views of Lisbon -- the castle in particular -- are amazing. There's a wonderful supermarket a short walk away. You can walk most anywhere in Lisbon, but if you prefer Uber most rides are around 5 euro. Couldn't be happier with the property and highly recommend it. Lovely apartment with 3 bedrooms and 2 baths. Parking and elevator available. Owner is especially helpful and responsive. Apartment has beautiful views from living room and bedrooms. Good local restaurants, grocery stores and coffee places nearby. 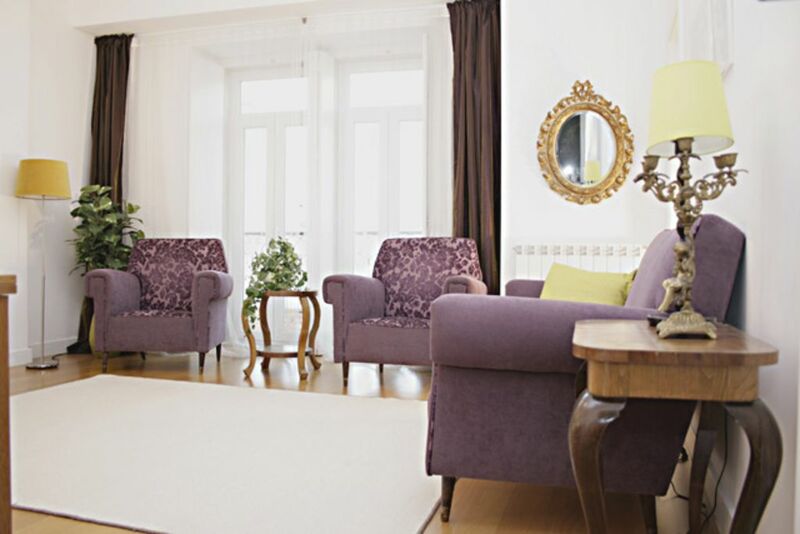 Our family enjoyed our stay in this spacious apartment which was ideally located in a quieter section of Lisbon. There were plenty of restaurants, cafes and mini markets nearby to choose from. We had easy access to the metro station, which was an easy walk down the hill and it got us to all of Lisbon’s major sites. Lisbon is lovely city filled with warm, friendly people. Very comfortable, clean and well equipped apartment with plenty of space and all amenities. Extremely helpful and communicative owner, we were delighted with our choice of base. Large, well stocked supermarket just a few minutes walk away, smaller one right opposite the property. Buses, tram, taxis and tuk-tuks running nearby, so good access to city centre and sights. The apartment was modern and quiet with plenty of kitchen equipment; we appreciated the dishwasher and washing machine, and the lift, too. Everything we could need was provided, and Joao managed to organise a very reasonable private transfer at short notice on our arrival and departure as there was a taxi strike going on. Lisbon is a brilliant but tiring city, so we tended to have lunch out and dinner at home or in a local restaurant. This location proved ideal for our purpose and we are happy to recommend the apartment. Oh, and the views from the flat are fabulous! Around the corner you can catch the 28 tram which runs along the city's historic areas.In two steps you are in: the Feira da Ladra, the São Jorge Castle, the Monastery of São Vicente and the Baixa Pombalina. In this charismatic neighborhood ( Graça), you have several traditional shops, modest and cheap restaurants, cafes and streets overlooking the river, and yet, you will be surprised at the sunset at a terrace of cafe. If you still prefer the comfort of the apartment to take your meals,there are a supermarket at 70 meters (formerly a cinema), open every day of the week. "